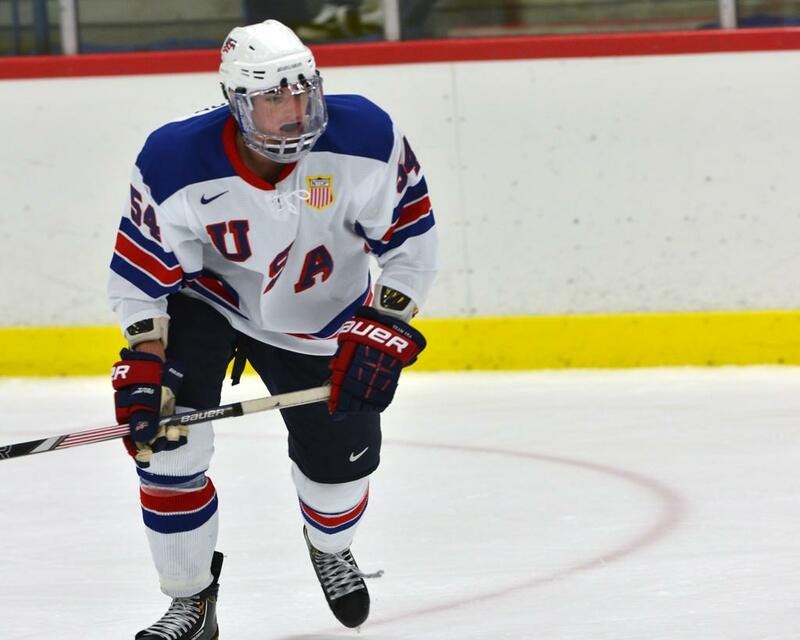 The captain of the 2012-2013 U17 national team and Boston University commit is an intriguing defensive prospect. While he may not be the fastest or most skilled, his defensive acumen is quite impressive. A very physical specimen, one of MacLeod’s former coaches considered him one of the strongest players he had ever coached. While he uses his size effectively in the defensively game, he has also found success in making smart, simple plays. A leader who is capable of being a workhorse for his team, MacLeod makes smart decisions in his own zone. And while offense isn’t necessarily one of his strengths, the rugged defender does has the vision to make good passes up ice. He will have some time to continue his development path at BU, which he will attend in the fall of 2015.